In the middle of a rainy Swedish summer, a little girl is abducted from a crowded train. Despite hundreds of potential witnesses, no one noticed when the girl was taken. Her mother, left behind at the previous station, alerted the crew immediately. But as the train pulled into Stockholm Central Station, the girl was nowhere to be seen. To Inspector Alex Recht of the Stockholm police, this looks like a classic custody row. But none of the evidence adds up and young Investigative Analyst Fredrika Bergman is convinced the case is far more complex than her boss is prepared to admit. 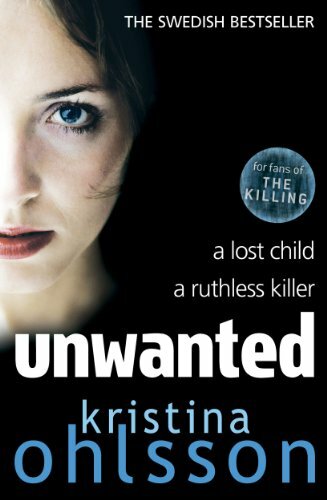 So when the missing child is found dead in the far north of Sweden, with the word UNWANTED scribbled on her forehead, the rule book is finally thrown out of the window. Now on the trail of a ruthless murderer with a terrifying agenda, will Alex and Fredrika manage to put aside their differences and work together to find the killer, before it's too late?